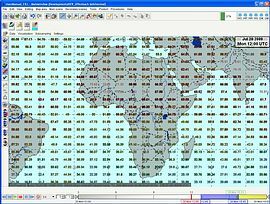 The NWP-Model Layer displays data of all numerical weather prediction (NWP) models, such as GME, GFS or ECMWF. Click here for a complete list of integrated models. 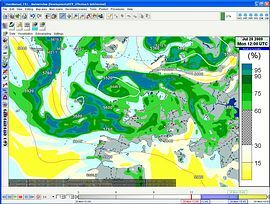 Furthermore, calculated elements, e.g., precipitation sums or differences, can be displayed directly. 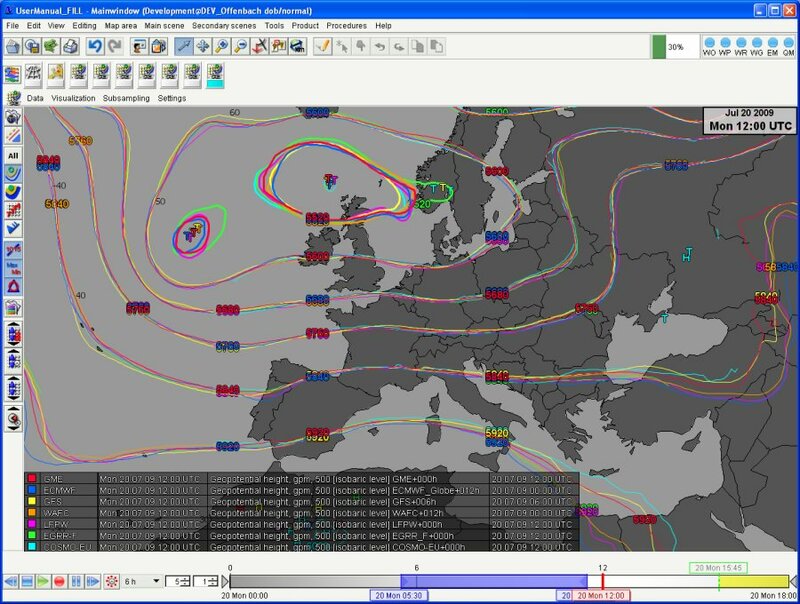 The user can switch between models, model runs and forecast times. Models with the same forecast time or different model runs of the same forecast time can easily be compared with each other. 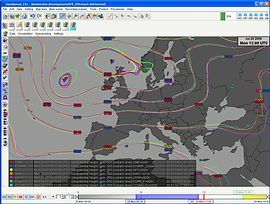 The visualisation of the model data is very flexible and can be configured according to your specific requirements. 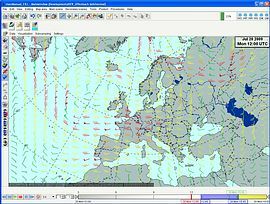 NinJo supports isolines, isoareas, numbers or symbols and windbarbs. All colors, line types, line attributes, etc. can be configured.